Hipsters unite! Well, that’s what it looks like Nordstrom is saying with their new lookbook for the season. It’s full of long, oversized cardis, loop scarves, funnel neck wraps, and other cool weather accessories that will look great with those skinny jeans and combat boots. Every young adult out there must be feeling covetous after viewing these looks. And if you haven’t seen it, we suggest you check them out now before everything spells ‘unavailable’ way before Black Friday sales. The fall and winter is all about nature. 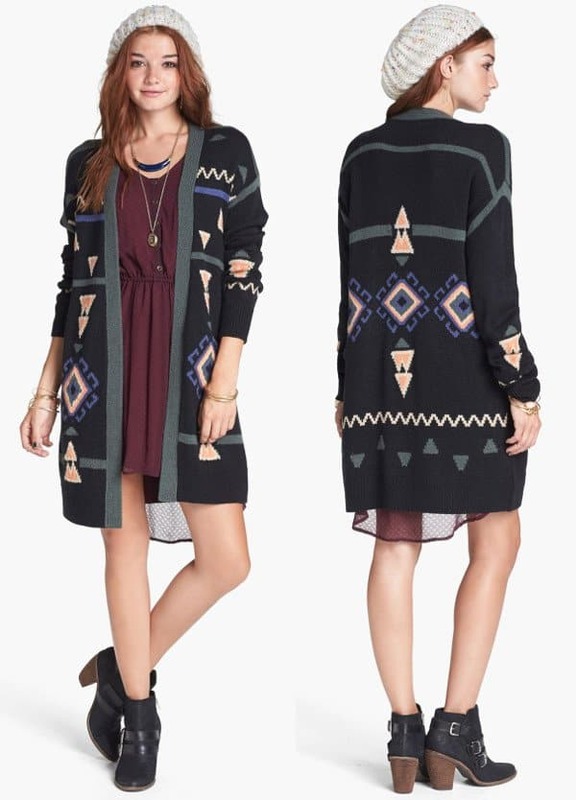 Get in on the tree-hugging spirit with this native-patterned long cardigan and wear it over a short dress, your favorite low-heeled booties, and a slouchy beanie. 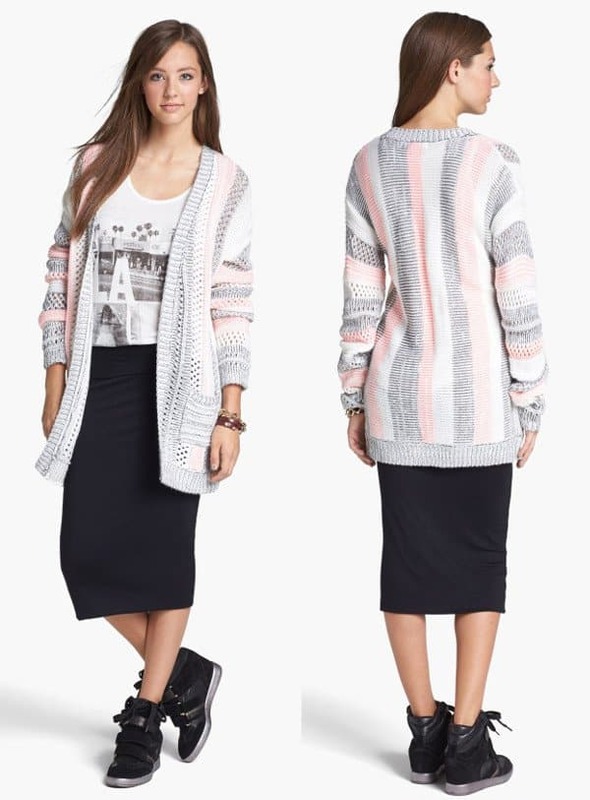 Probably inspired by the stylish folk of South Korea, the ‘Kimchi’ striped cardi by Love on a Hanger looks right at home with a graphic tee, a midi skirt, and of course, wedge booties. 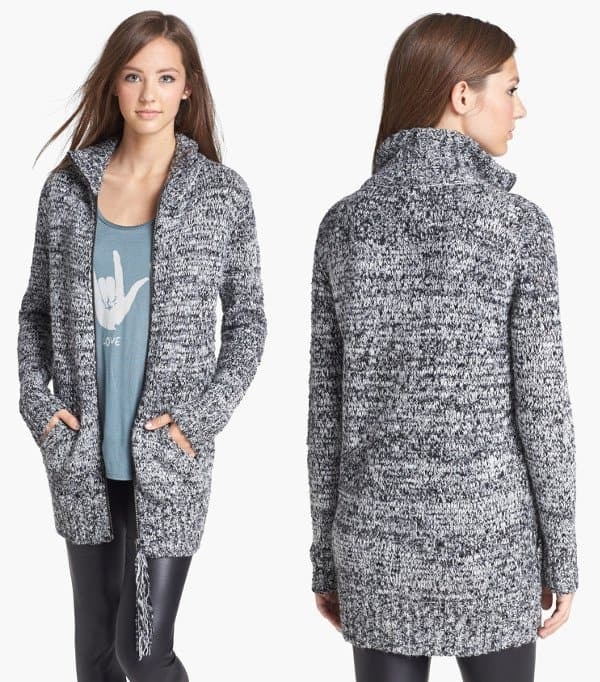 For something toastier, the funnel neck cardi is cozy and oversized for full on coverage. And the speckled yarn style is timeless so it can be part of your wardrobe until you wear it out. Hooray for practicality! 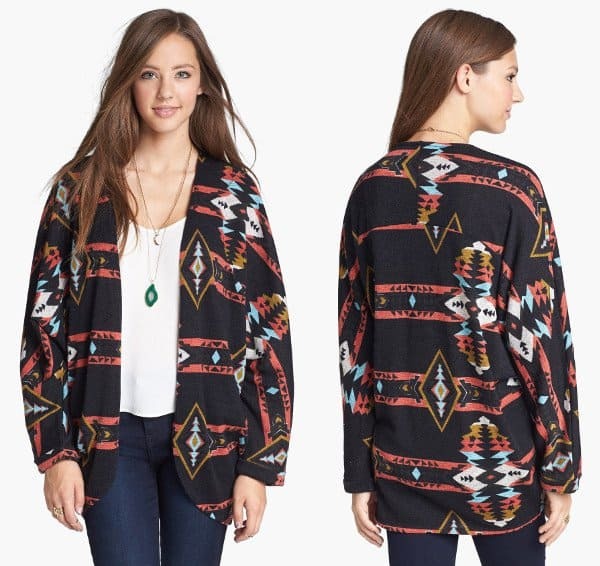 If your cool weather wardrobe is full of solids, add a punchy note with this open, patterned cardigan for a hippie twist. Match with modern boots to avoid looking too retro. Speaking of hippie, a faux fur vest might be going too far but with a flowy dress and a floppy hat, you can look more like young Stevie Nicks just about ready to rock and roll. Don’t forget your long, gold necklace. 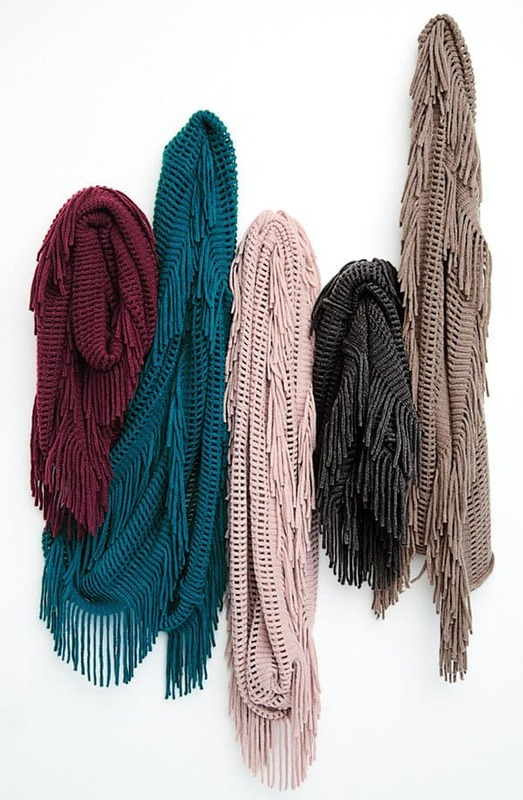 Knit scarves are a must. And they go with everything, even if they are rainbow colored. But to be on the safe side, a girly, solid-colored top will keep this balanced and easy on the eyes. 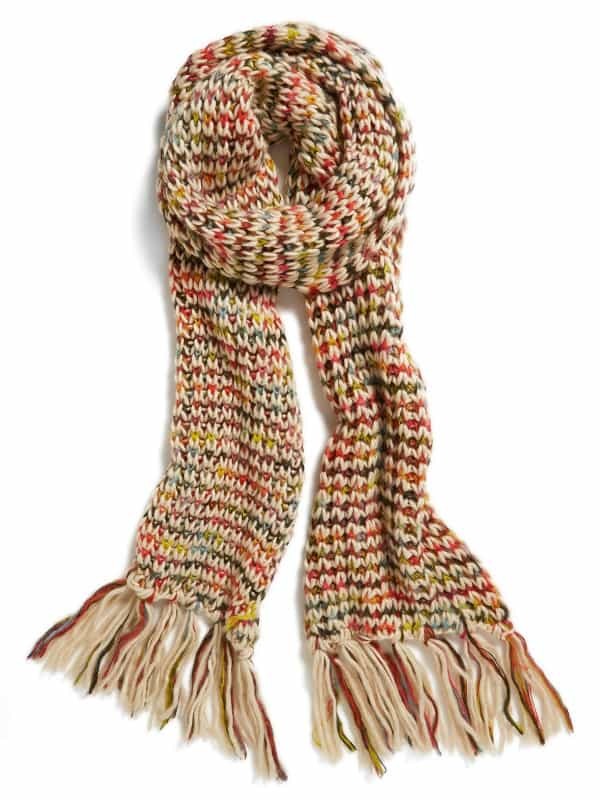 The best friend of fashion bloggers during fall: the infinity scarf. 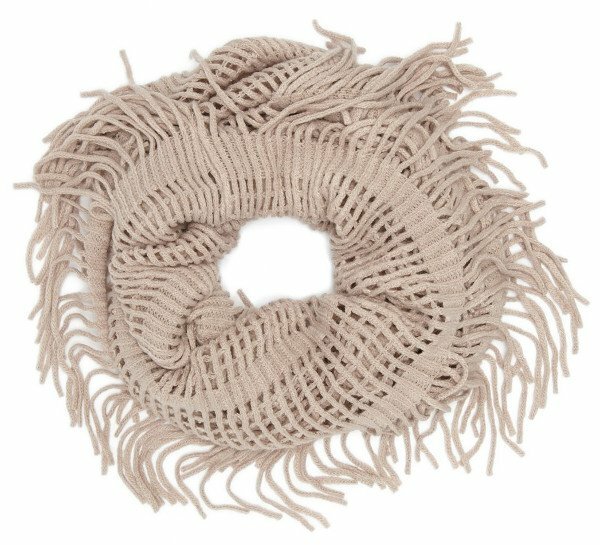 Keep things a bit more interesting with an open weave one sporting fringes like this one from David & Young. Wins over layering necklaces every time. Plus it comes in 5 different colors.